Black finishes of all sort are going strong and matte black in particular is a highly desirable finish at the moment. One new trend is having a matte black texture pairing with a glinting metal finish like nickel or chrome. You’ll be seeing this in bathrooms and kitchens especially, with new faucetry options unlike ones we’ve seen before. 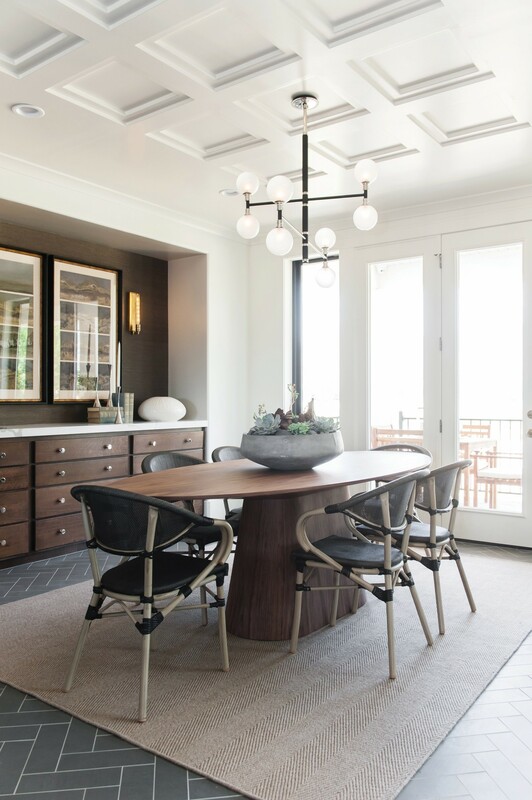 Troy Lighting has been exploring the possibilities of this sort of contrast within a single lighting fixture for a couple years, as evidenced by their Andromeda in this dining space.